Since 1948, Feeney has pioneered industry leading-leading cable rail systems and other architectural and rigging products. We are known for our very high quality, and we constantly strive to simplify the way our customers work with us and our products. We think you will find our CableRail, DesignRail®, and Quick-Connect® products easy to use, with features and benefits that are innovative and compelling. 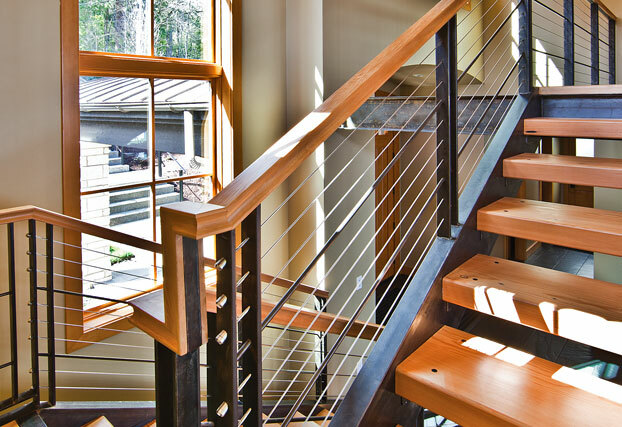 CableRail stainless steel 18” Standard Cable Assemblies on residential wood deck railing. 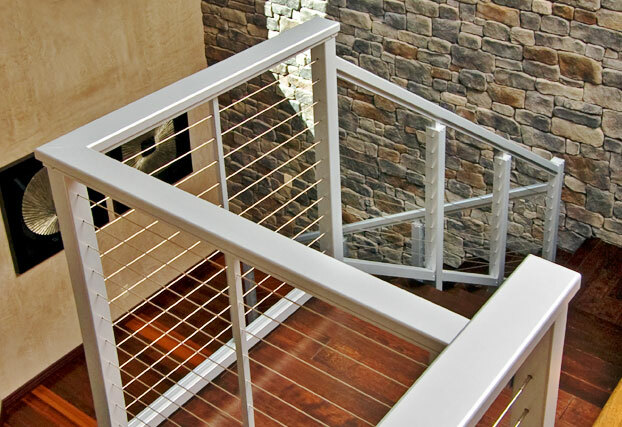 DesignRail® series 350 aluminum railing frames with picket infill. 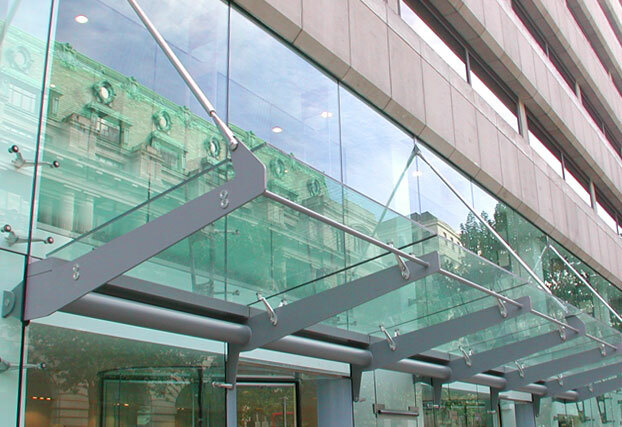 Sta-Lok® stainless steel rod assemblies used in commercial canopy. CableRail- stainless steel architectural cable assemblies. 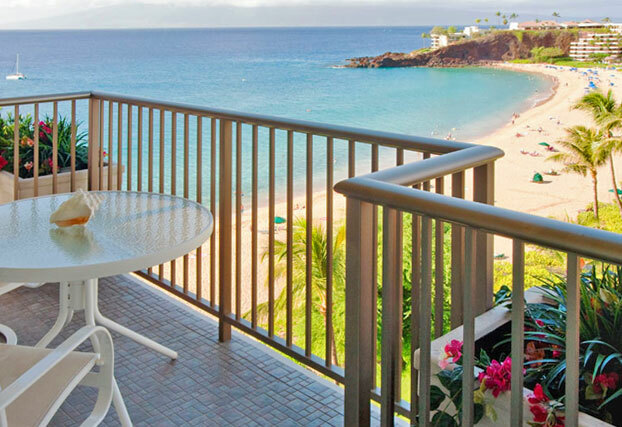 DesignRail® - powder coated aluminum railing frame systems. 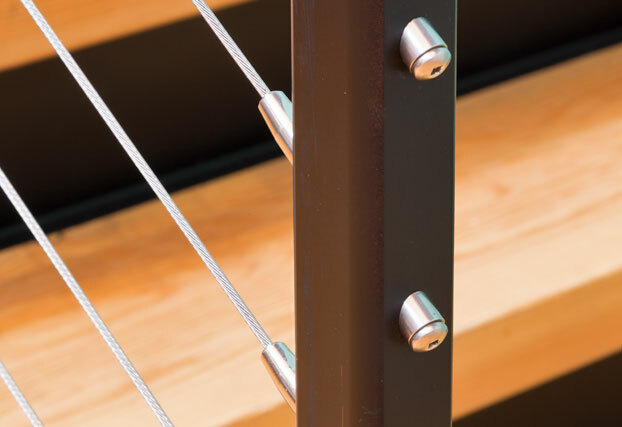 Quick-Connect® - stainless steel cable fittings. 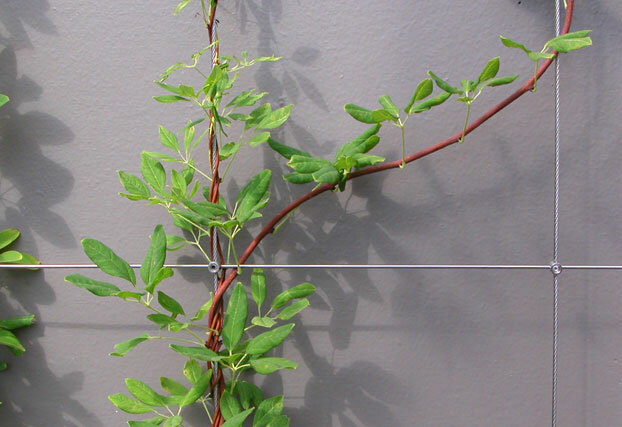 Trellis Collection by Feeney - stainless steel cable & rod trellis kits. 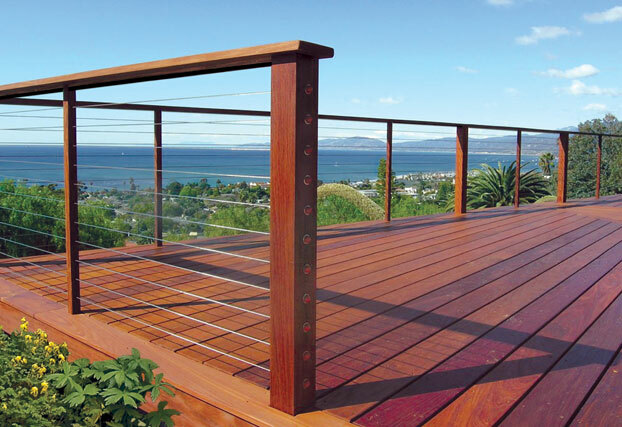 StaLok® - stainless steel structural & decorative rod assemblies. 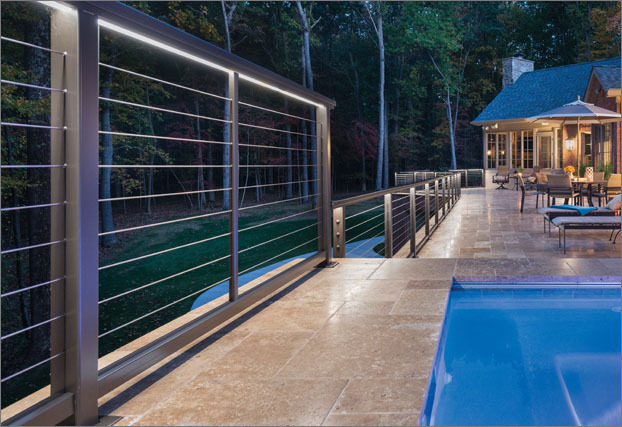 Feeney has expanded its DesignRail® line with a variety of options to help you create the perfect ambiance for your living space. 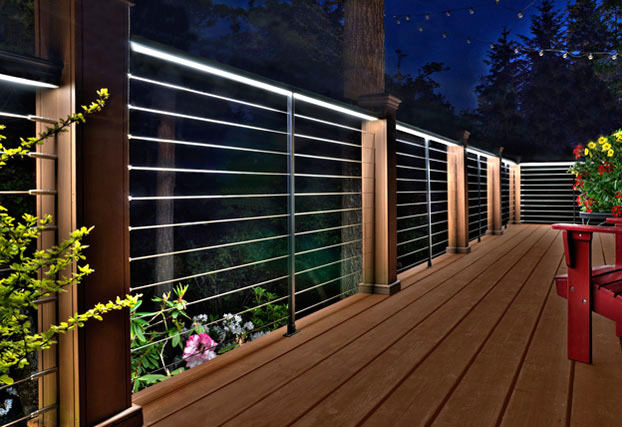 Light up the night with under rail LED lighting for both top and bottom rails, and check out our new Post Accent lights! 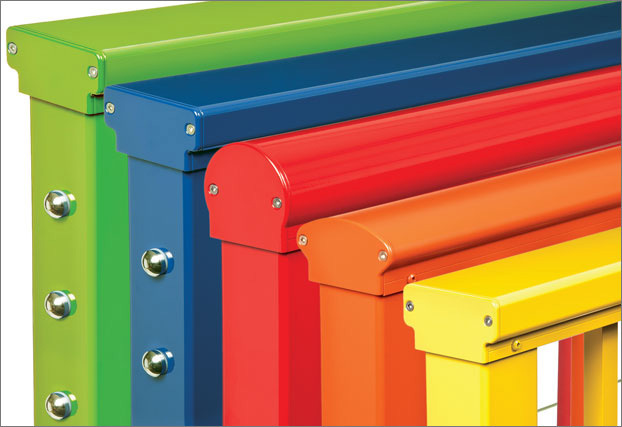 Additional colors, including textured black, are a great way to customize your installation. 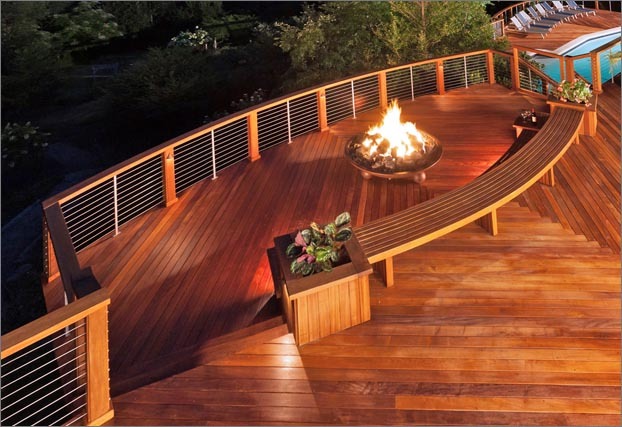 Looking for an alternative to custom railings? 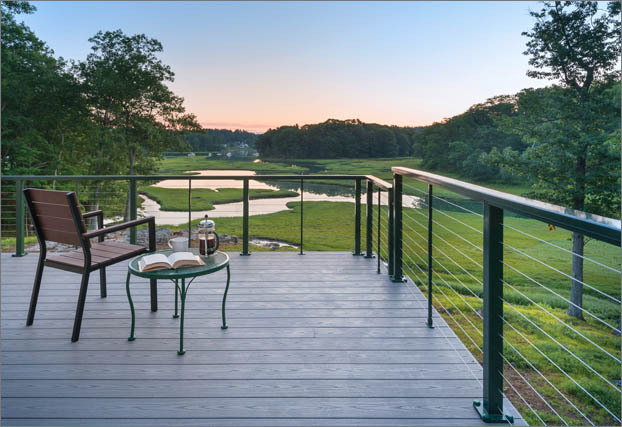 Our DesignRail® Rail Kits allow you to purchase a complete railing system at your local retailer, and build your railing with existing wood posts. 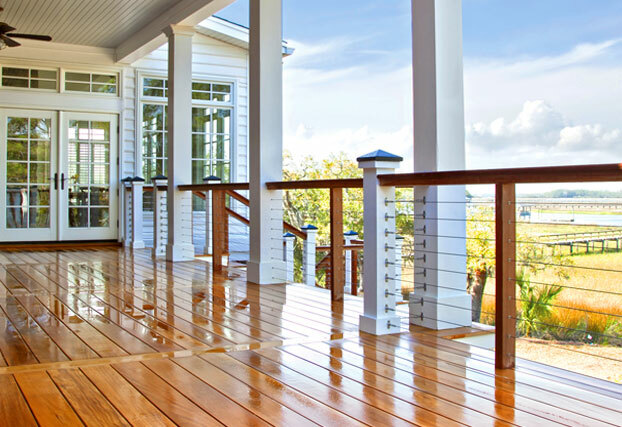 Our wide range of Quick-Connect® fittings equipped with automatic locking jaw technology continues to expand with a vast array of fittings that allow for ease of installation with wood, metal, or composite-sleeved posts. 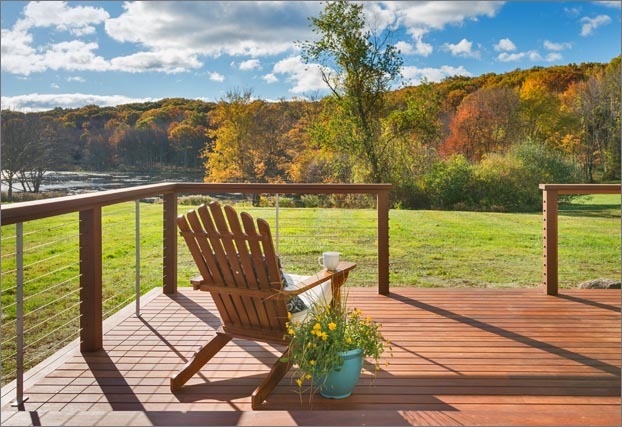 The primary area in which Feeney Architectural Products contribute to LEED points in this certification process are in Materials & Resources.